Whether you’ve heard of media intelligence before or not, you should know these six ways that it can be used. From helping you build a better brand, to finding inspiration for new content – media intelligence might just be the thing you need to take your business strategies to the next level. media update’s Aisling McCarthy gives you the inside scoop on media intelligence and explores six ways you can use it to make sure your strategies skyrocket in 2019. It’s the process of gathering and analysing vast amounts of data generated by various media channels in order to gain insights into business performance, consumers, competitors, and market sectors. Media intelligence helps you see exactly what consumers think about your brand. For starters, do they even know that your brand exists? Do they understand your message and what your brand is about? Media intelligence serves to help you spot any misconceptions and take action to correct them. For example, if your brand is trying to really push the idea of being invested in CSR and sustainability, but all of your media coverage only mentions your corporate offerings, you need to address that. Using this information, you can adjust your marketing material and really focus your efforts on communicating your brand message. By using a media intelligence service, you’ll be able to closely follow what is written about your company, as well as the tone of the discussion. Speed is of the essence when it comes to dealing with negative (or positive) brand mentions – especially on social media.. Your media intelligence service will notify you when your brand is mentioned in the media (be it traditional or digital). For digital media – rejoice those positive comments, respond to complaints and answer any customer queries. A quick response time shows your customers that you care about their experience. Key Opinion Leaders (KOLs) are thought leaders whose opinions are valued and respected within a specific industry. Cooperation with the right KOLs (aka influencers) can see your brand awareness skyrocket, customer relationships strengthened and even your sales boosted. Many media intelligence companies can help you identify the experts and ‘gurus’ in your industry and will help you find the ones that are the best fit for your brand. Companies like amaSocial can be useful for identifying KOLs and bloggers in the social sphere. Want to know more about how other brands are using KOLs? Check out these Five trends shaping influencer marketing in 2019. 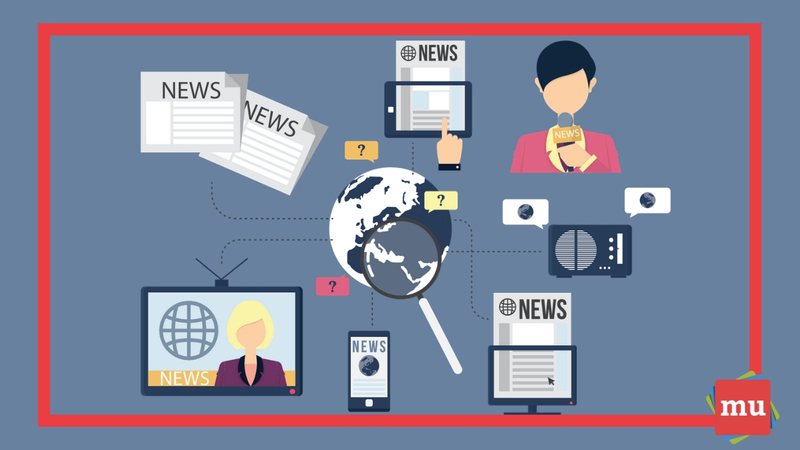 You may be wondering: How can media intelligence help you find out about the latest developments in your field? Simple – by monitoring your brand, your competitors and other key players in your industry. Media intelligence and brand tracking providers, such as Newsclip, allow you to keep track of what is being said about your brand or your clients’ brands. But it doesn’t stop there – it can keep track of your competitors, too. As the saying goes, ‘Keep your friends close and your enemies closer.’ Well, why not monitor the opposition and stay one step ahead? What’s likely to be their next move? What’s the most viable opportunity for your client? These are all things you can learn by tracking your competitors’ coverage. Did you know that you can use media intelligence to measure – and improve – the effectiveness of your communications? It allows you to closely follow just how much media attention your efforts garner, identify if you reached your target audience and evaluate if you got the reaction you were expecting. Media intelligence will also let you see if you have reached the correct media titles, target audience and regions. How does it do that? It will show you which media titles published your press release, allowing you to easily identify the publications and stations that didn’t publish it. Use this information to modify your press release distribution list and ensure it aligns with your target market. A good service provider will also show you exactly what was published. You’ll be able to see if the media title cut down the information in it significantly. If this is happening, you might need to re-evaluate the way you write your press releases. Are you including too much jargon or technical information? Could your press releases be shorter and punchier? As any good marketer, PR professional or brand manager can tell you – it’s important to constantly create fresh content. Yet, when it comes down to it, we’re often plagued by that same niggle: ‘I have no idea what to write about’. Well, fear not because media intelligence can save the day once again. Monitor your industry to see what topics are trending at a general level. If you have a specific field or topic that your content follows, try monitoring those specific keywords. What you’ll find is a treasure trove of information from consumers. What are people saying about this topic? Are there any questions people have raised that people want answers to? What is the sentiment around the keywords? Use this information as inspiration for new ideas and angles for content. Data is your best friend when creating content. By finding out what consumers want, you’ll be able to deliver just that to them! Are there any other benefits of media intelligence that you’ve discovered? Share them with us in the comments section below. Considering investing in media intelligence for your brand, but not sure where to start looking for a provider? 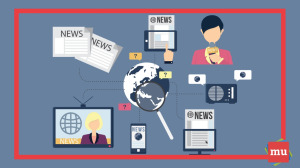 Check out this article that explains just What to look for in a media intelligence provider.